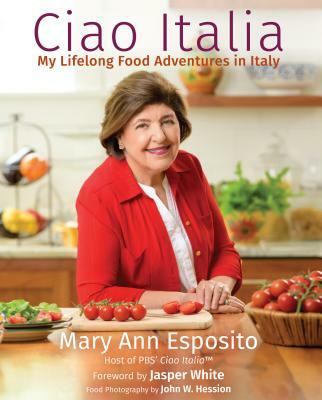 Esposito, a PBS host (Ciao Italia) and veteran author ( Ciao Italia Family Classics), combines “recipes and food experiences from all over the boot, along with stories that bring them to life.” Divided into courses, starting with antipasto and closing with sweets and fruit, dishes are presented in Italian alongside the English translation (i.e., minestra con pane sotto, soup with bread). Staples such as soup, rice, pasta, fish, meat, poultry, and salad, as well as side dishes such as pasta sauces and breads, join ziti con pomodori e melanzane alla Siciliana (ziti with tomatoes and eggplant, Sicilian style), vignarola (Roman-style spring vegetables), pesce al cartoccio (fish in paper) and tanti biscotti (a lot of biscotti). Esposito discuses common ingredients such as cheeses and olive oil and later explores the benefits of the Mediterranean diet and offers advice on bread making and starting a vegetable garden.